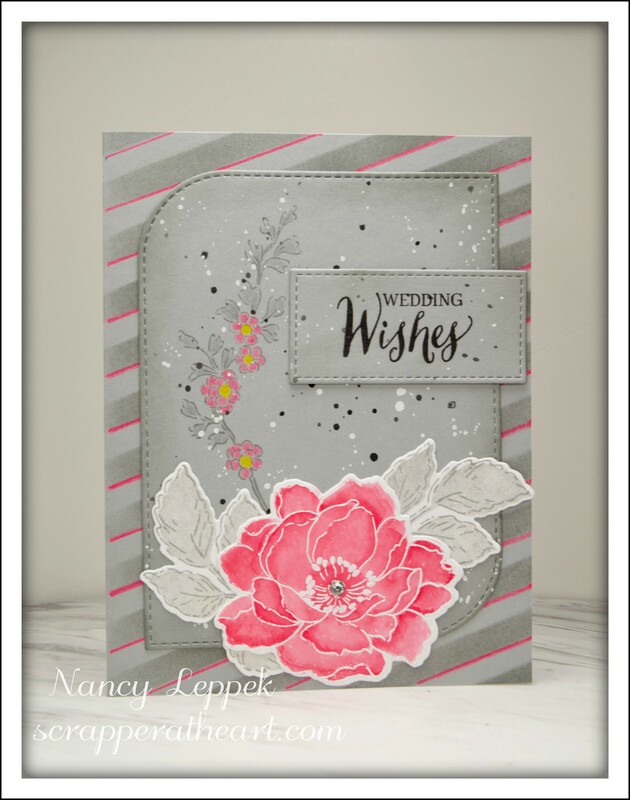 Categories: Cards | Tags: Altenew stamps, Card making, Cards, prisma colored pencils, rubber stamps, stamping, Stamping Up, stencils, watercoloring | Permalink. I am trying to get caught up on my goal of having 24 Christmas cards done by now this summer ( this is number 7) LOL, and I thought the sketch over at CASE this Sketchlooked kinda fun this week, so I played along. I might have taking the sketch a bit too far, but I felt after I placed my circles it was just a bit to plain. I so struggle with CAS cards and don’t know when to say when. The penguin stamp is a wooden block stamp that I have had for eons, this week I am trying to give some of my older stamps some much deserved attention. Some card details: Colored with Copics and Prismas, scalloped circles are Spellbinders, the Sentiment is SU, the Ric Rac looking border and scalloped rect. is from MFT. Categories: Cards | Tags: Card making, Cards, Christmas cards, prisma colored pencils, rubber stamps, stamping, Stamping Up | Permalink. I have a quick card for you today. It’s similar to one I have done before and liked so much, I thought I would do it again. I also needed a thank you card and thought this would do just fine. 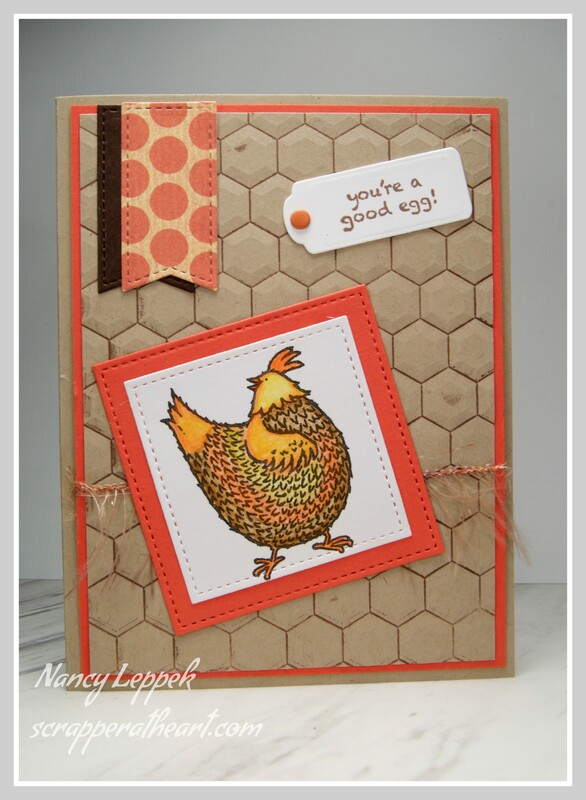 All the products that I have used are from Stampin Up. I chose to use colored pencil for my medium. 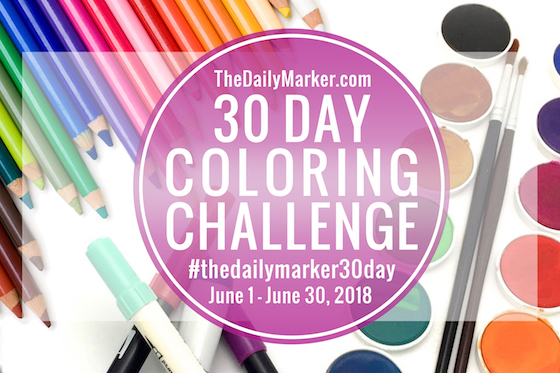 It also qualifies for the 30 Day coloring challenge day 19! 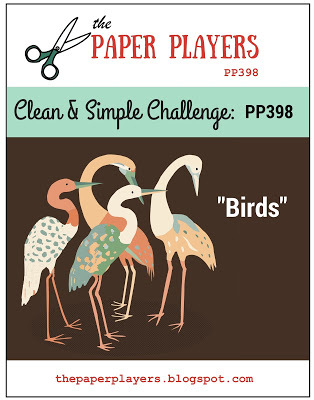 I am linking this card up with the Paper Players where the challenge is Birds. Categories: Cards | Tags: Card making, Cards, prisma colored pencils, rubber stamps, stamping, Stamping Up, Thank you card | Permalink. 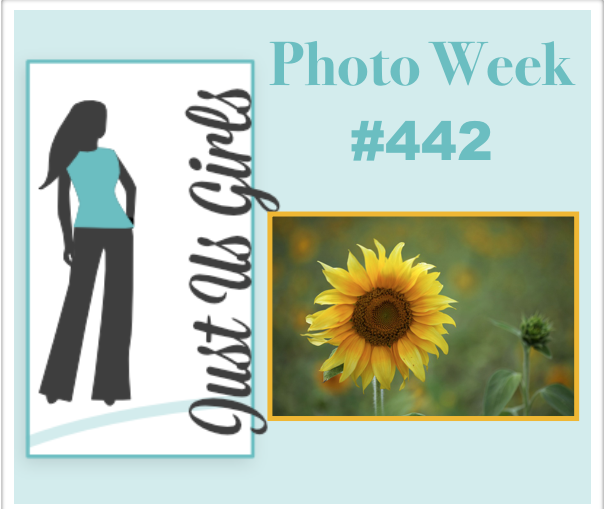 Hello friends, I am the hostess once again over at Just Us Girls but this time for Photo Week! I can’t wait to see what everyone does with this gorgeous sunflower picture. The design team and our fabulous guest Patti have once again made some amazing cards! You must check them out! Speaking of Patti….This is our last post with Patti (our guest) and I sure hope she joins us again in our gallery from time to time as we love her work. This fabulous image on my card was colored with Prisma colored pencils. I think it is from Stampendous, but I can’t be 100% certain as it isn’t mine and has been on my desk to color for eons!!! 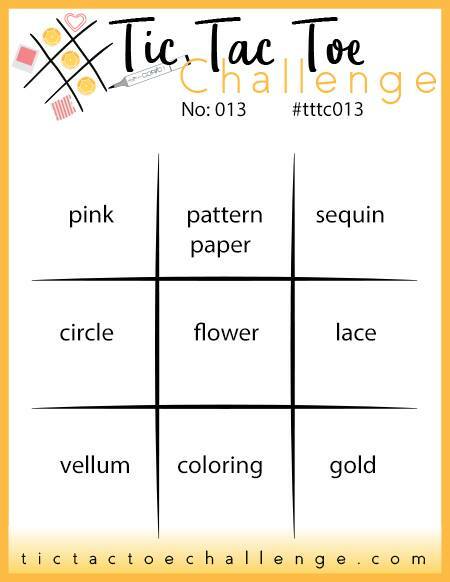 Categories: Cards | Tags: Card making, Cards, prisma colored pencils, rubber stamps, stamping, Thinking of you | Permalink. Mythical or Magical at JUGS! 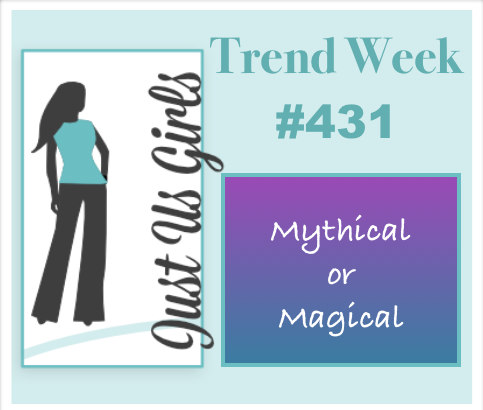 Hello, Today over at Just Us Girls it’s Trend week an Carol has asked us to use Mythical or Magical creations on our cards and or projects! I knew right away that I was going to be playing with my favorite MFT Dragon stamps, and it looks like I am not the only one on the team that went that direction. 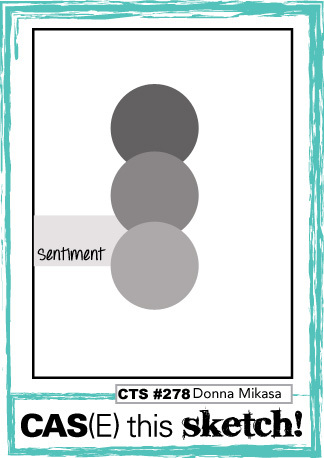 I can’t take credit for my layout of my card as I was inspired by this card HERE! I used my trusty Prisma Colored pencils for this card. 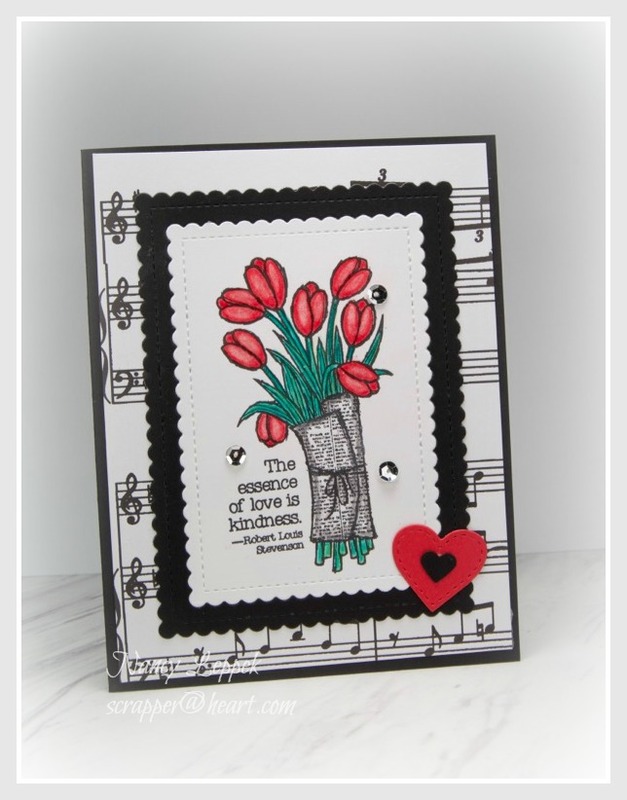 Categories: Cards | Tags: Card making, Cards, Get well, my favorite things, prisma colored pencils, rubber stamps, stamping, Thinking of you | Permalink. 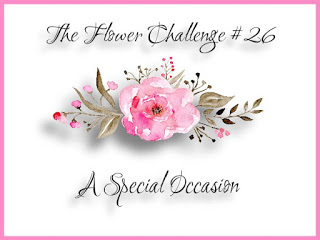 Hello Friends, I thought I would take a break from Wedding party favors and play along with a new (to me) challenge site I stumbled upon the other day. It’s called Tic Tac Toe Challenge and they have two teams, the X’s and the O’s. How cute and clever is that! The row I chose to play along with is the middle row; pattern paper, flower and coloring. The stamps set is one from SU that I absolutely adore and will never go out of style! Categories: Cards | Tags: Card making, Cards, prisma colored pencils, rubber stamps, stamping, Thank you card, Thinking of you | Permalink. 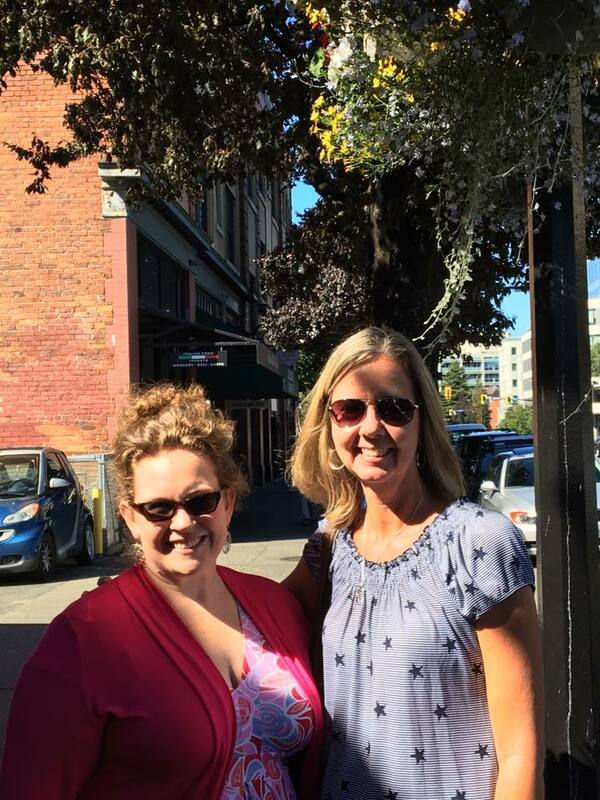 Tie One On and Meeting Blogging Friends! I had a fabulous time creating this card. This particular MFT guy was colored with my hubby’s help. He was giving me an art lesson and said that the elephant needed to have more variations of color to make him look real. Not sure I am 100% pleased with how he turned out, but I went along with the ART teacher anyways. 😉 The balloon and butterfly are colored pencil too. The dots were made with a SU stencil. Everything else is MFT. 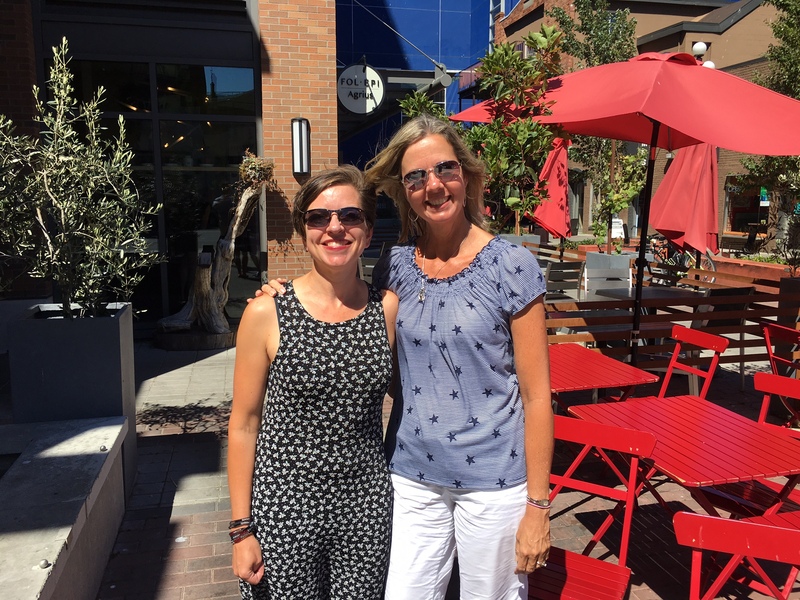 If you ever get the opportunity to meet your blogging friends….I strongly suggest it! 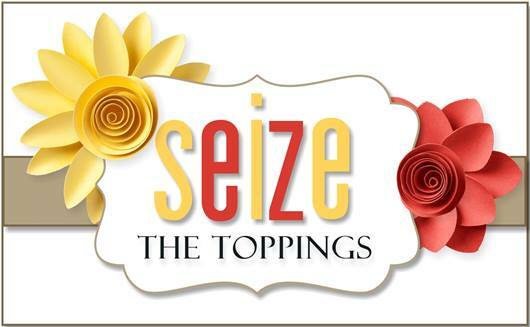 Please join us over at Seize the Birthday! My fabulous team and Guestie- Lindsey did a wonderful job as always! Come by and check it out! 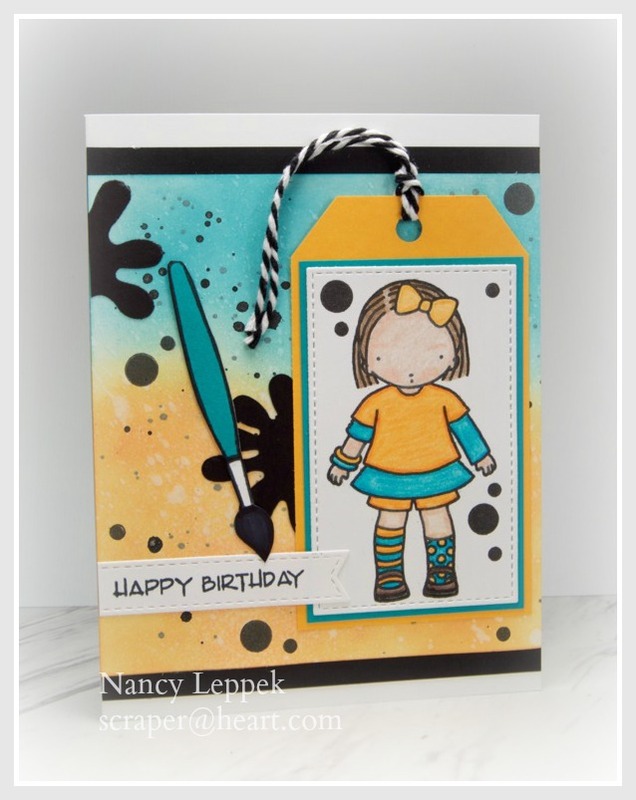 Categories: Cards | Tags: Card making, Cards, Happy Birthday, my favorite things, prisma colored pencils, rubber stamps, stamping, Stamping Up | Permalink. Hello Friends, Hope you are having a great day so far! 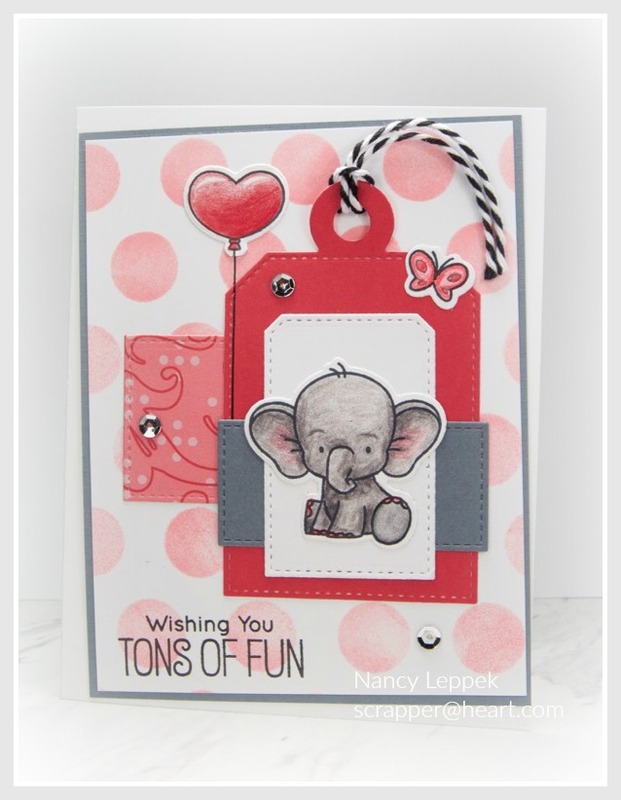 I had such a great time making this card with some of my favorite stamp sets. I had the PI girl colored with colored pencil for quite sometime and I am so glad I waited till after I got my Oxide Inks to put the card together. My new inks matched perfectly with the colors I had chosen to color her with. 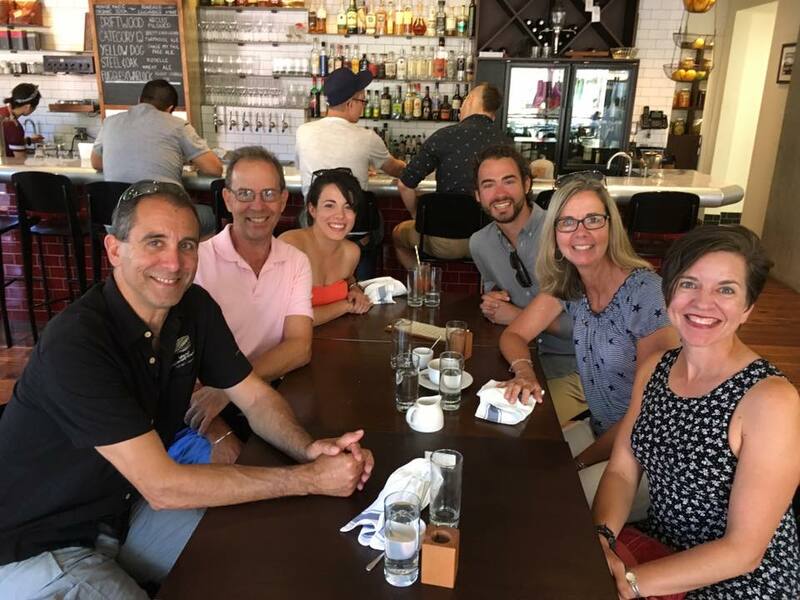 Love when that happens…don’t you? This card is for our challenge over at Seize the Birthday for the next two weeks. The topping I chose this time around is Splatter! It’s such a fun technique that generally gives such great results! I feel like it kicks up the card a notch or two. Of course after I made my splats, I remembered I had a punch that might be fun to use as well and then that is how the paint brush came to be. The perfectly uniformed round spots were made from a stamp from Gina K.
Supplies: Oxide inks, MFT Stitched rectangles, stitched banners and PI-, Sentiment is Verve, Paintbrush is Paper Smooches, circles-Gna K.
Categories: Cards | Tags: Card making, Cards, Happy Birthday, my favorite things, oxide inks, prisma colored pencils, rubber stamps, stamping, Verve Stamps | Permalink. 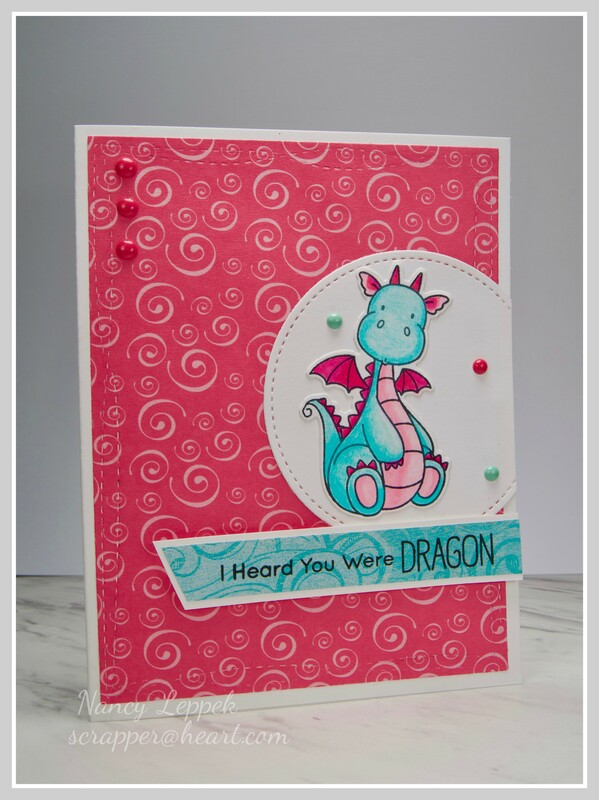 Hello Friends, I took sometime a few days ago and took a break from punching out boocoose wedding pieces and made this card for the challenge over at Simon Says Monday Challenge. Their challenge theme was Take a Vacation. 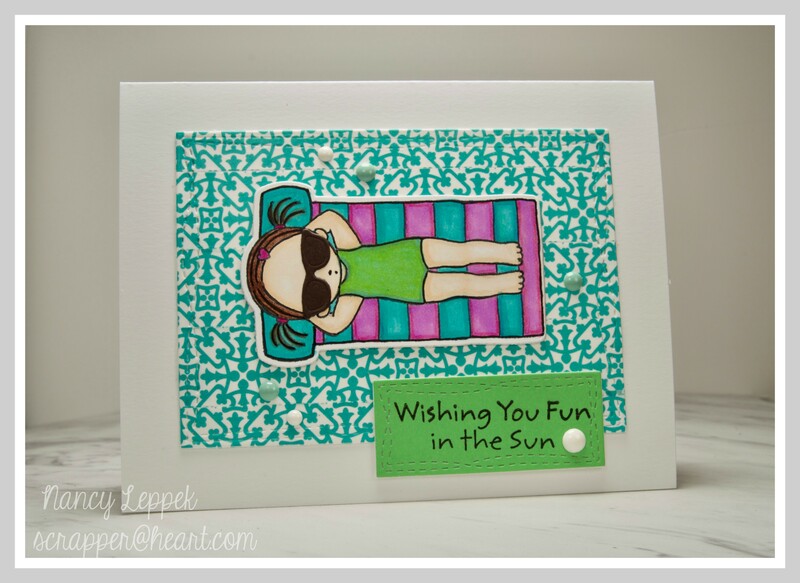 I got out the perfect stamp set from MFT-Fun in the Sun….. which most definitely screams vacation to me. I wanted to practice my Copic coloring but I chickened out as I am not very good at it, and went with my faithful Prisma Colored pencils. 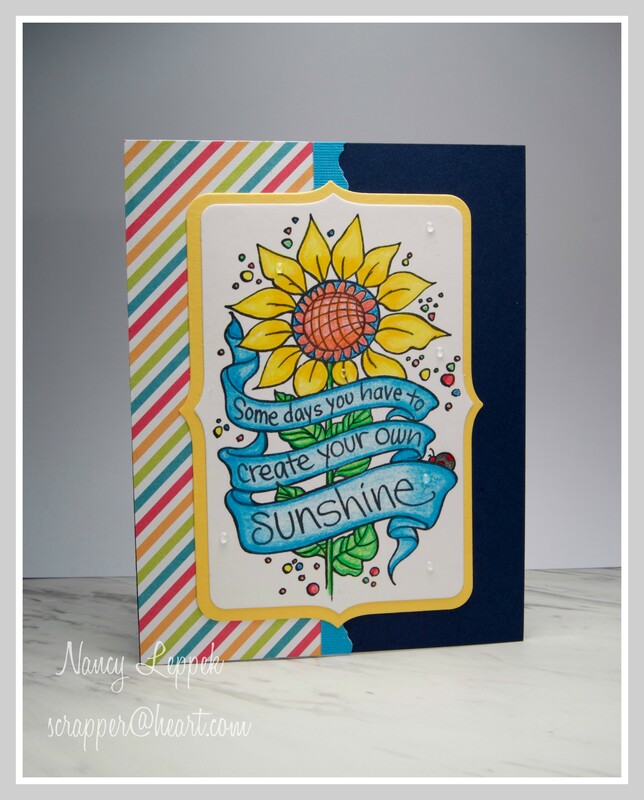 I also played with my new Oxide Inks which I adore! I have used them a lot lately and those projects are forth coming. 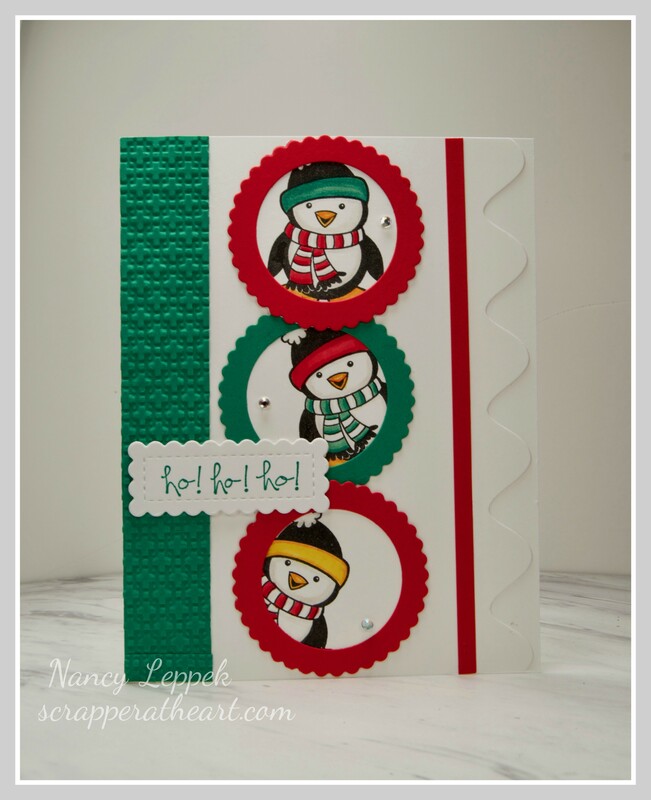 I can’t take credit for this adorable layout as I cased a card that you will find HERE! 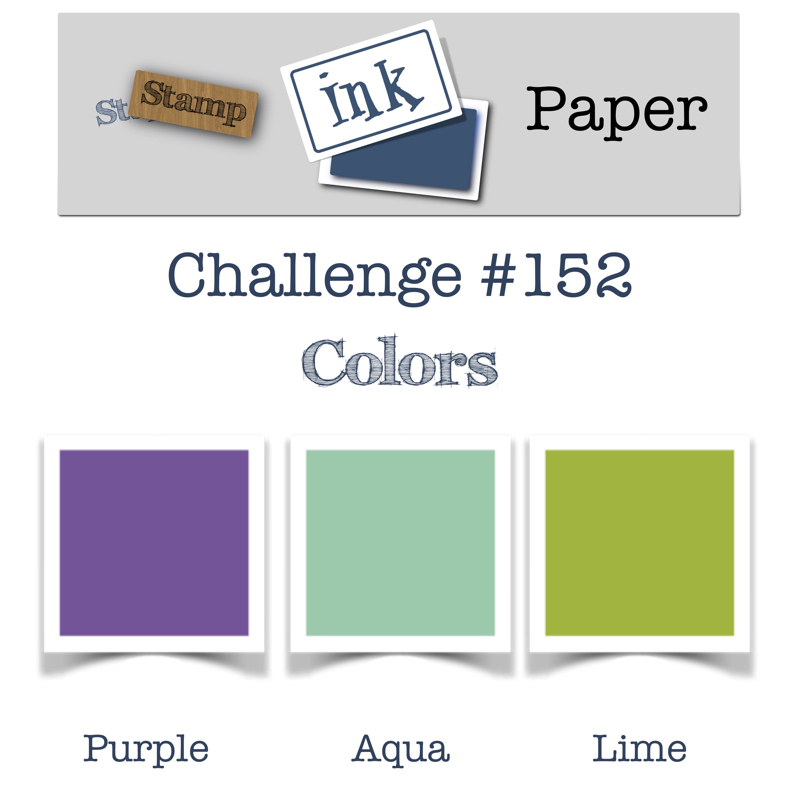 Categories: Cards | Tags: Card making, Cards, my favorite things, prisma colored pencils, rubber stamps, stamping | Permalink.